Rotarians are members of Rotary clubs. Rotary clubs belong to Rotary International Website. 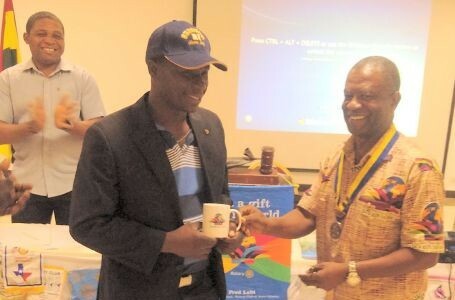 To become a Rotarian, you must be invited to join a Rotary club by a member of that club. Work or live within the Accra-Tema Metropolis. Hold or is retired from an executive position with discretionary authority in any worthy and recognized business or profession and/or community volunteer work. Membership in the Rotary Club of Accra Spintex is by invitation. If you are interested in learning more, please ask a current member, or email membership@rotaryclubofaccraspintex.org. or call 050-440-8000.